Over the weekend, Defense Secretary James Mattis signed an order that tasked U.S. Central Command with developing a withdrawal plan, but there was no timetable associated with the order. Shortly after President Trump’s announcement last Wednesday, U.S. officials had said it was likely that the 2,000 U.S. troops in Syria could all be pulled out in 30 days. But officials say that as plans have been developed over the last week, the pace of withdrawal could be much slower. According to two U.S. officials, the current plan being presented to the military’s chain of command calls for a withdrawal process that could take several months. That would be in line with President Trump’s most recent comments about a withdrawal from Syria that it would be “deliberate and orderly”. “There will be a strong, deliberate and orderly withdrawal of U.S. forces from Syria,” Trump told U.S. troops on Thursday during his trip to Iraq. According to the U.S. officials, a major consideration for U.S. military planners crafting the Syria withdrawal plan has been the protection of American forces as they execute the withdrawal. Officials have said that U.S. and coalition aircraft will continue to conduct airstrikes and provide air support for American troops as they carry out the withdrawal. However, it remains unclear if air operations targeting ISIS will continue after a U.S. pullout of forces. Also being taken into account by planners in the longer timeline is the amount of time it will take to remove all the heavy equipment the U.S. has accumulated in Syria. Some of the most exposed American forces are those advising and assisting Kurdish allies as they fight the last ISIS holdout areas close to the border with Iraq. 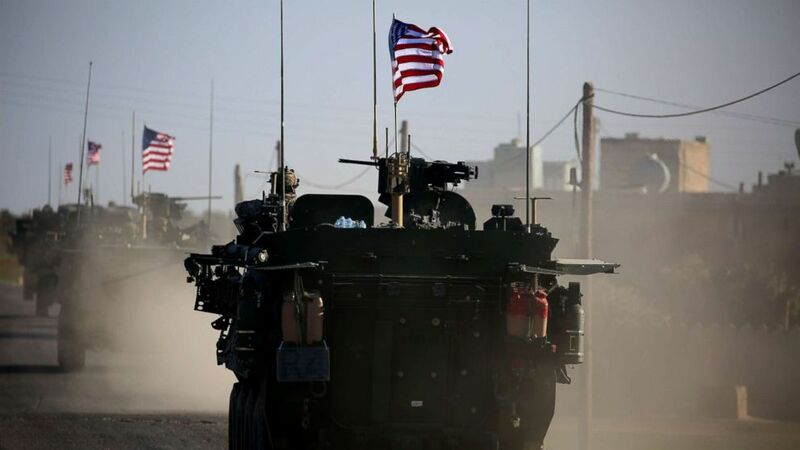 But there are American troops spread throughout eastern Syria in the territory east of the Euphrates River, some of them at large logistical bases established to provide support to the American troops and the Kurdish allies. Officials say the withdrawal plan will have to be approved by the Secretary of Defense and it’s possible that it may be up to Pat Shanahan, the department’s number two official, to approve the plan when he becomes the new acting defense secretary on Jan. 1, after Mattis’ departure. Trump’s statement about the role American troops could play in Syria from inside Iraq could be problematic. The 5,200 American troops in Iraq are currently there to advise and assist the Iraqi military in its ongoing fight against ISIS inside its territory. additional missions in the future. In a sign of how difficult that might be to achieve, on Thursday several Iraqi lawmakers demanded a parliamentary vote to expel U.S. troops from Iraq.